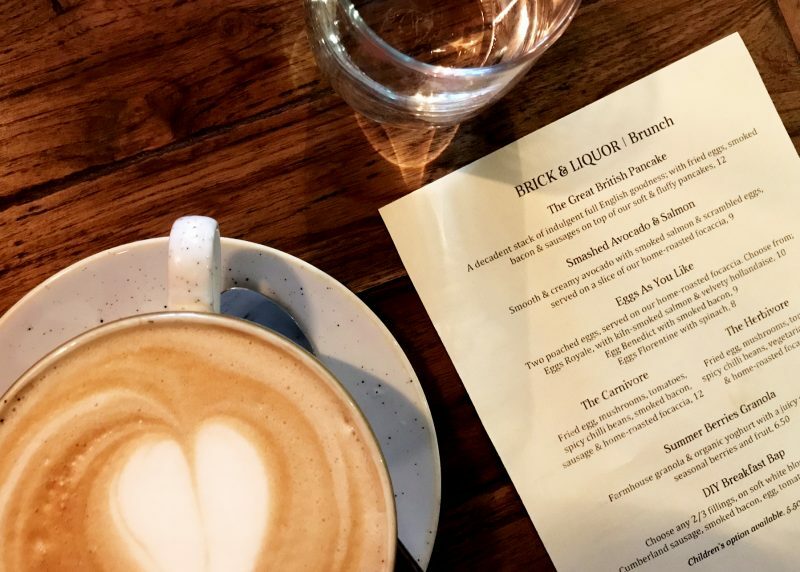 What may be a typical email for a big influential blogger these days, was a nice exciting treat for a small town gal like me – an invite for a free brunch – HOW EXCITING. I organised this for a January weekend to make sure I had something nice to look forward to and booked the table for the three of us housemates. They had a table ready for us when we arrived at 12.30 ready for the brunch menu, and were asked if we wanted coffee / water immediately. To eat, Lauren & Jonny ordered The Great British Pancake – a decadent stack of indulgent full English goodness; with fried eggs, smoked bacon & sausages on top of our soft & fluffy pancakes (£12) and I got the Smashed Avocado & Salmon – smooth & creamy avocado with smoked salmon & scrambled eggs, served on a slice of our home-roasted focaccia (£9). Sounds delicious right? The food took quite a long time to actually arrive, we’d finished our coffee by the time it did. However, upon arrival we were very impressed with the pancake portion size and my eggs looked nice and fluffy. The meals did not disappoint. My focaccia was soft and tasty, eggs were great and there was a really decent amount of salmon and avocado (no-one should be stingy here). As I mentioned, the pancake portions were huge, they were pretty filling, the sausages herby and we got hold of some maple syrup too – yum. 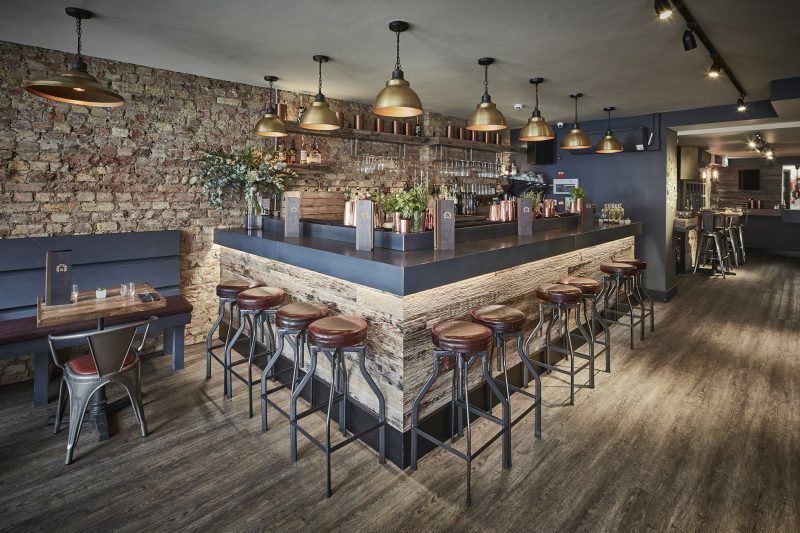 In the evening, B&L do cocktails and small plates, which look delightful from the photos I’ve seen – I’ll have to go back. The interiors were modern too and there was a pretty chilled atmosphere, which I can imagine being nice in the evening. 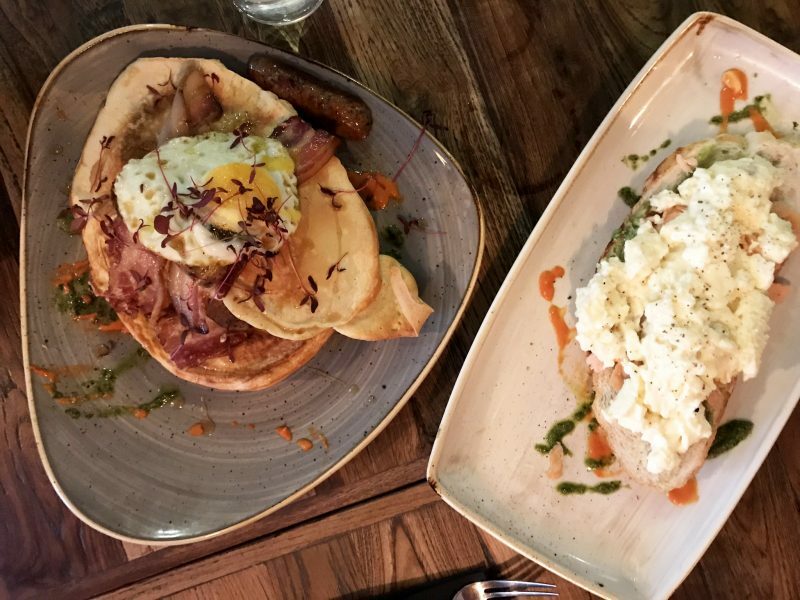 I’d definitely recommend for a brunch location – it wasn’t too expensive and I think pretty good value for London money (please note, London money is different to money in other parts of the country haha).